Tune RiskMetrics for Peak Performance. Red Swan was founded with a simple purpose: To deliver the best risk solution possible using the best analytics platform. Driven by the commitment to optimize RiskMetrics for speed and flexibility while reducing model risk errors, Red Swan delivers a fully integrated risk solution that is easier and less expensive to implement and maintain without sacrificing performance. Starting with the most powerful and comprehensive risk analytics engine from RiskMetrics, Red Swan takes it to another level by applying the same rigorous methodology to the entire risk process. Using optimized model configurations in the most dynamic and efficient manner, Red Swan consistently delivers the most reliable risk results to the end user as swiftly as possible. 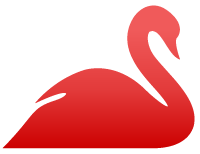 Red Swan delivers higher performance, stability, and reliability at a fraction of the cost of custom development and maintenance expenses, all backed by Red Swan’s industry-leading support and consultants. Even the most complex implementations are easy to handle with Red Swan’s fully integrated software solutions. Red Swan does it faster than the you can imagine. It’s built in. Need to turbocharge your risk by aggregating simulated returns? The Red Swan upgrade is all you need. Previous PostPrevious Ready, Fire, Aim. Next PostNext What is the aggregate risk of my investments across managed accounts and HedgePlatform?